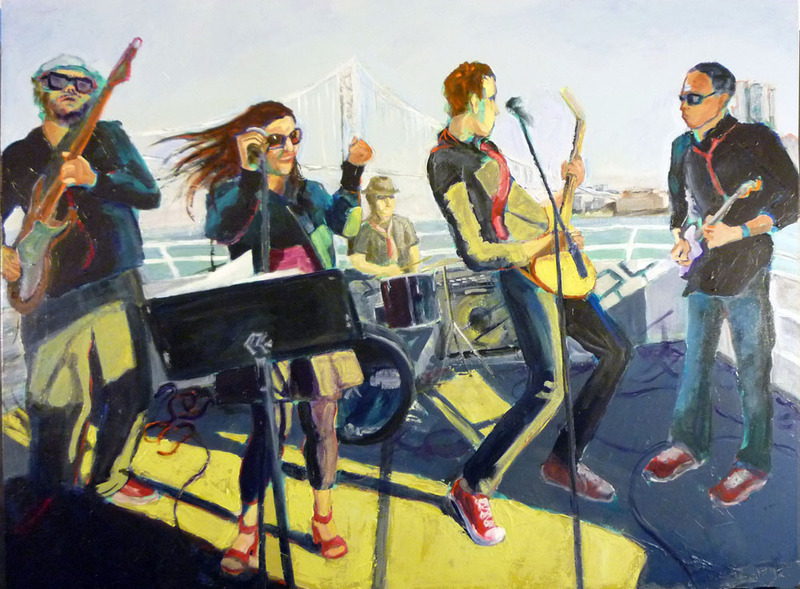 This large-scale painting depicts a group of musical friends who were playing for a corporate boat party on San Francisco Bay. Special thanks to Damien Miller, who shot the photo that inspired this work. And thanks to the performers (from L to R: Randall Riegler, Sushila Sahay, Dan Randall, Kyle Napierkowski, Jim Lee) for being so energetic and expressive.